Prior to 1975, if a director or cinematographer wanted to shoot in very low light situation without adding additional light, extraordinary measures had to be taken. The lengths to which Stanley Kubrick went to adapt a Zeiss 50mm f0.7 lens to a Mitchell BNC are well known. That lens was used to shoot the candlelight scenes in 1975’s Barry Lyndon. This article relates the history of Carl Zeiss’ development of high speed lenses. This lens was originally developed in response to a commission by NASA for a lens with an extremely fast aperture, pushing the limits of what is possible within the laws of physics. The design was finalized in 1967. The lens was designed specifically to photograph the moon from orbiting spacecraft. The popular story is that this lens was meant for photographing the far side of the moon during Apollo 8’s orbit of the moon, the first time the far side of the moon would ever be seen by human eyes. Since the unlit side of the moon would be lit only by starlight, the need for an ultra-fast lens makes sense. The Planar 0.7/50 was not a completely new design. Zeiss had been working on ultrafast objectives for night vision for military applications as far back as 1941. The original WWII era design was updated to produce the Planar 0.7/50. In essence, it is a quite fast double-gauss (Planar) lens of f1.0, with a field reduction unit “speed booster” that concentrates the light onto the image plane, decreasing the effective f-stop. As a result, the back focus of this lens is very short. Only about 3 mm from the rear element to the image plane. These lenses are extremely rare. Supposedly only 10 were manufactured. 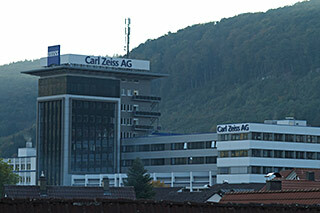 The last time I was as Carl Zeiss Oberkochen one of the employees training me also worked in the prototype department. I asked if I could see the Planar 0.7/50. He searched for it and it turned out there was not a single example on hand at Carl Zeiss headquarters. It was on display at the Deutsches Museum. Fortunately I have had a chance to see this lens in person, because it can be see as part of the Stanley Kubrick Archives exhibit. I saw it in Ghent Belgium in 2007 and again at the LACMA museum in L.A. in 2012. Just a few years after Barry Lyndon was released it would be possible do accomplish the same thing with an off-the-shelf lens and the faster filmstocks newly available. Carl Zeiss introduced the original Superlichtstarken “Super High Speed” lenses in 1975. “The most powerful lenses available today for filming even in a candlelight environment”. The original set of lenses comprised three focal lengths 18, 25, 35mm with an f1.2 aperture, plus a 50mm f1.3 and an 85mm f1.4. In the United States these lenses became commonly known as the “Super Speed” lenses, while in Germany they are still known as the “High Speed” lenses, a terminology Zeiss still uses. Zeiss recently introduced a series of CP.2 lenses with a T1.5 aperture and named them “Super Speed”. So for the purposes of this article and to avoid confusion, I will be referring to the cine lenses as “High Speed” lenses. In 1983 a updated version of the “Super High Speed” lenses was introduced. Designed to work with the new ARRI PL 54 lens mount, the larger internal diameter of which allowed a re-design of the 50 and 85mm focal lengths giving the set a uniform maximum aperture of f1.2 and a T-stop of T1.3. My article on the Carl Zeiss High Speed lenses goes into much greater detail about the evolution of the High Speed lenses. The High Speed lenses became a mainstay of cine production, and they were produced continuously but in limited numbers from 1984 through 2004. In 2003 the European Union adopted the Reduction of Hazardous Substances directive (RoHS). One of the hazardous substances that could no longer be used in consumer products was lead, and some of the glass formulas in the High Speed lenses contained lead. I was at the Carl Zeiss factory in Oberkochen for my first training in May 2004, and while I learned service of the Ultra Prime lenses, I saw the very last production run of High Speed Mk.III lenses being assembled in the next room. At the very same time, a prototype of a new High Speed lens was being assembled by the technician just adjacent to me (Zeiss used glass partitions between rooms at the time). I noticed that this new lens type was physically larger than existing lenses and had a very different mechanical design. That new lens was the Master Prime. And although I would have hardly believed it at the time, seven years in the future I was going to be knee-deep in them!